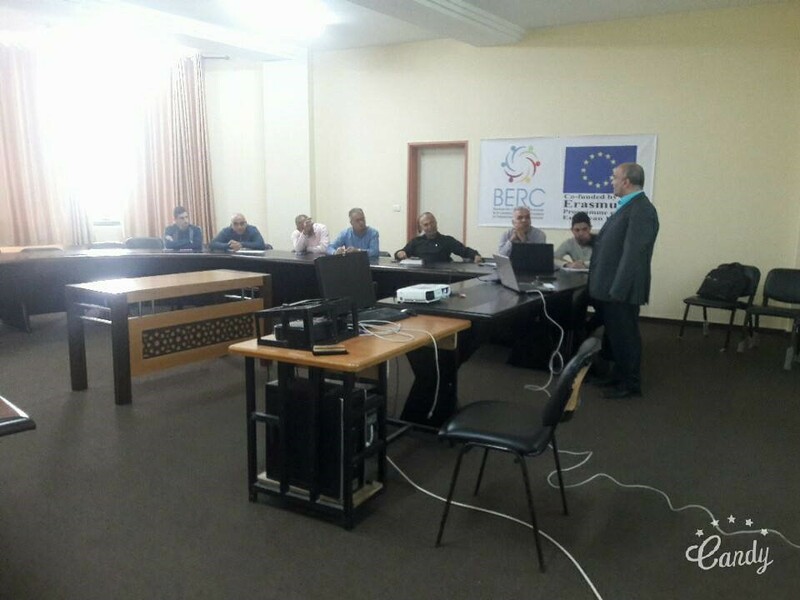 On 12 November, 2017 Develop the Capacity of Business and Economic Research Centers at Palestinian Higher Education Institutions "BERC" conducted a workshop on "How to search at Emerald EM 200 database" and also introduced the advance search at this database, the workshop was presented by Dr. Khalid Dahliz- Vice Dean of Scientific Research and Faculty Member of the Faculty of Commerce . The Faculty of Commerce as well as a of interested parties attended the workshop. Dr. Dahliz introduced the database through the central library portal on the Islamic University of Gaza website, explained the mechanism of normal search, and advanced research by title, abstracts, authors and keywords. He also explained how to look at relevant variables, supporting it with many examples.